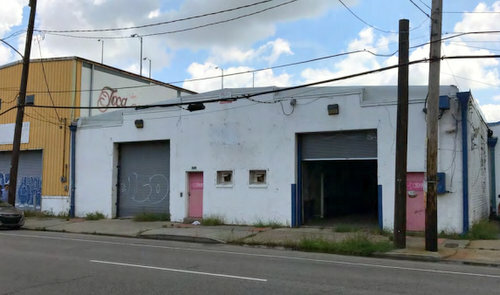 The latest challenge to the zoning of a new immersive-theatre venue in a Magazine Street warehouse at the edge of the Lower Garden District was postponed Monday to December, after the building owners countered with the allegation that their critics have missed the deadline to object. Lower Garden District residents Seth and Rosa Dunlap began meeting with their neighbors in the spring of this year about their idea to convert the vacant warehouse at 1152 Magazine Street into a new venue for a permanent “immersive theatre” performance called The Fallen Saint. The Prohibition-era jazz-themed show will be created by veterans of the Blue Man Group and other avant-garde theatre projects in New York City, and the venue will include a full-service restaurant open when the show is not playing, the Dunlaps have said. The project requires a conditional-use permit from the city for the bar, the live entertainment and the size of the venue, and as it progressed through the city’s approval process, it became increasingly controversial within the neighborhood. While the Lower Garden District Association ultimately stayed neutral on the issue, a group of other neighbors led by artist William Monaghan and some of the founding members of the Coliseum Square Association hired attorney David Halpern to help them oppose the project based on concerns about noise, loitering and traffic. Last month, City Councilman Jay H. Banks announced a strict set of operating conditions that he said would control those possible problems, and the Council voted unanimously to approve the project. Halpern, however, filed a separate challenge with the city’s Board of Zoning Adjustments, alleging that the project was misclassified as a “indoor amusement facility” by inspectors instead of a dedicated “live performance venue” — which would not be allowed under the current zoning. The city inspectors had classified the project as an indoor amusement facility — such as a movie theater or bowling alley — that has live entertainment as its secondary use, but Halpern argued that the live entertainment is the primary purpose of the venue. When other Council members expressed concern about Halpern’s challenge, Banks assured them that his support of the project will only proceed if the Board of Zoning Adjustments upholds their original determination. The matter was set to be heard by the board on Monday. On Oct. 12, however, the Dunlaps’ land-use consultant Avery Foret challenged Halpern’s right to bring the matter back to the board. The Department of Safety & Permits made their original review and determination of the project’s classification on May 7, and the city has a 45-day limit on challenges to those decisions, Foret wrote. Based on Foret’s allegations, City Planner Brooke Perry determined that the issue of the deadline must be decided before Halpern’s challenge to the classification can go forward. Thus, at Monday’s meeting, the Board of Zoning Adjustments postponed the matter until their next meeting, Dec. 10.